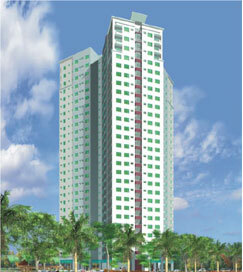 Robinsons' The Gateway Residences is a 28-storey residential condominium beside the Robinsons Gateway Mall on EDSA and Boni. Located along Pioneer Street near the corner of EDSA in Mandaluyong City, the site of the Gateway Residences is one of the most centrally located spots you can find in the metropolis. Fifteen minutes away from the dynamic Makati Business District and a mere five minutes from the bustling Ortigas Center and Libis, the Gateway Residences is crisscrossed by major thoroughfares that easily take you to any part of Metropolitan Manila.